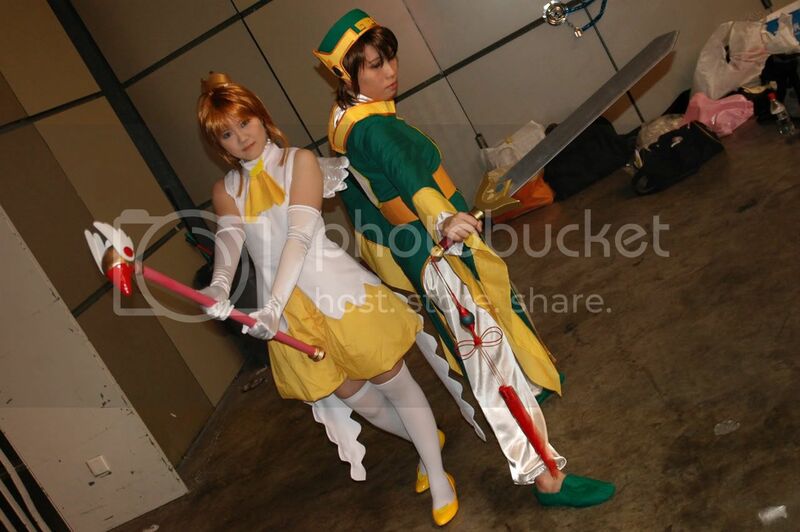 ~Eternal Snow~: STCC Cosplay Coverage!! Paid a visit with some Team Blue members to the Singapore Toys & Comics Convention (STCC for short) today, 29 June 2008, held at Suntec Convention Centre. All I can say about the event was.... just so-so, thus I wouldn't bother going through it (I'm sure others have already said their say anyway). 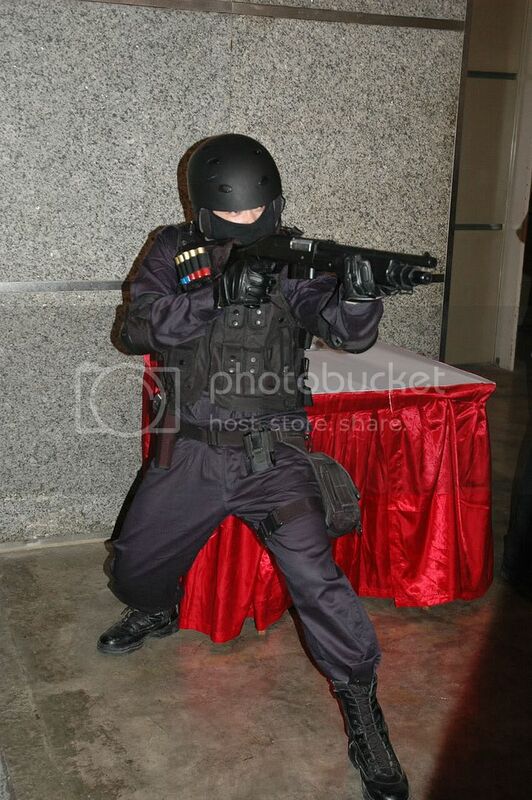 Instead, I'll focus on the cosplay aspect of the event ^^. On to the photos!! Note: The lighting was pretty bad at the location (when I meant bad... it's FAIL bad! ), so there might be some shaky photos due to low shutter speed (ISO 640, 1/8 - 1/15 shutter speed, F3.5-4.5). 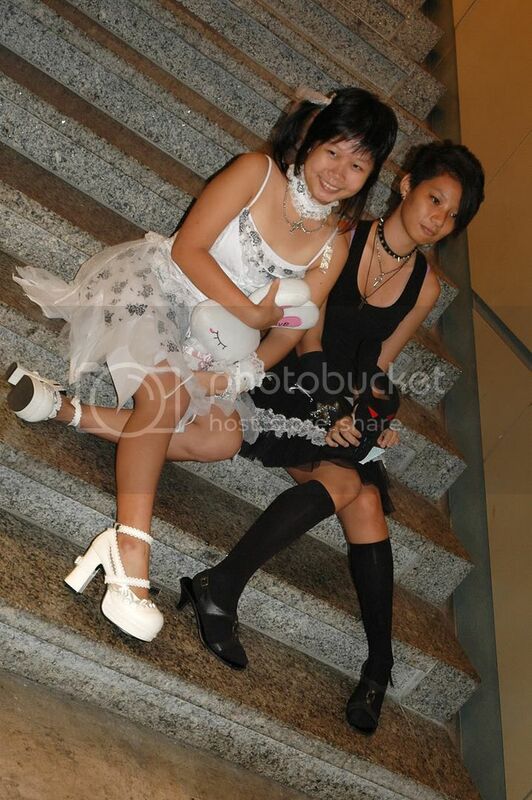 I've done the best I could without a hotshoe flash. 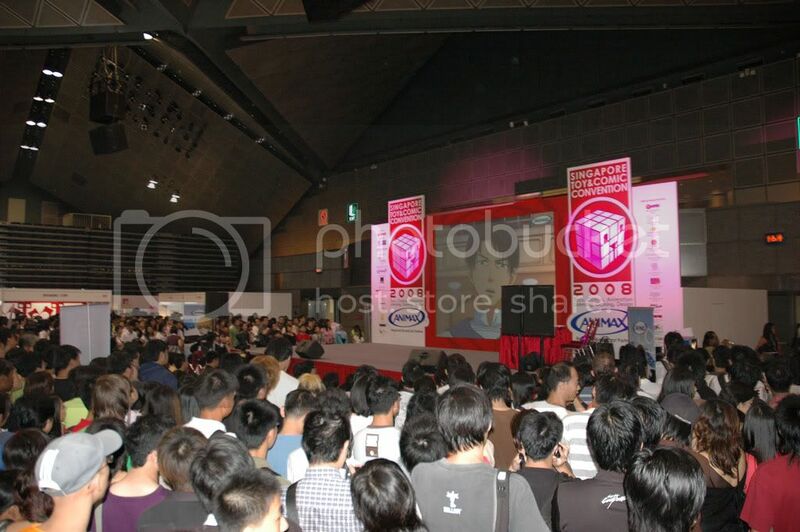 Massive crowd turnout for the cosplay competition. Another angle of the mayhem. The force is strong with this one. 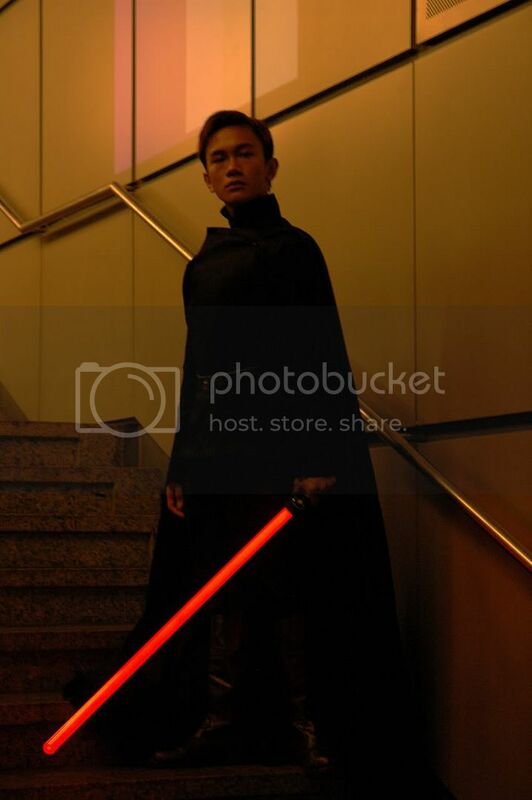 Sith/ Dark Jedi. Didn't use flash for this shot as I wanted to have the "dark" effect. Slight shake in photo though. 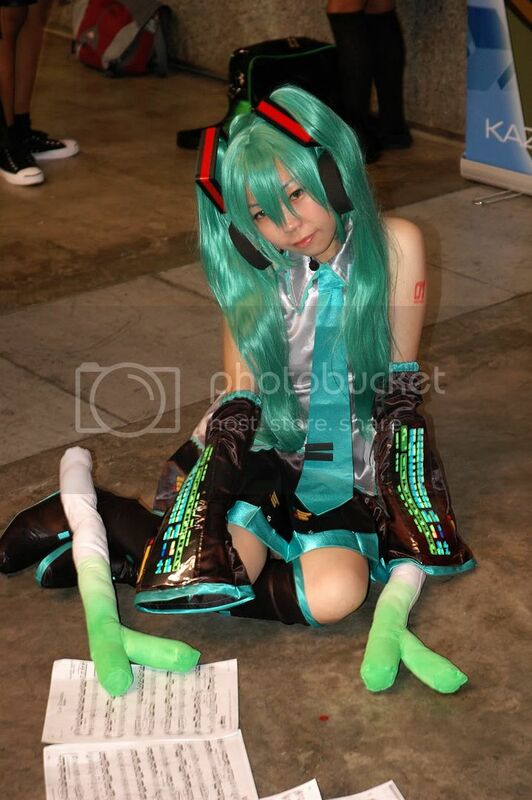 Hatsune Miku!! 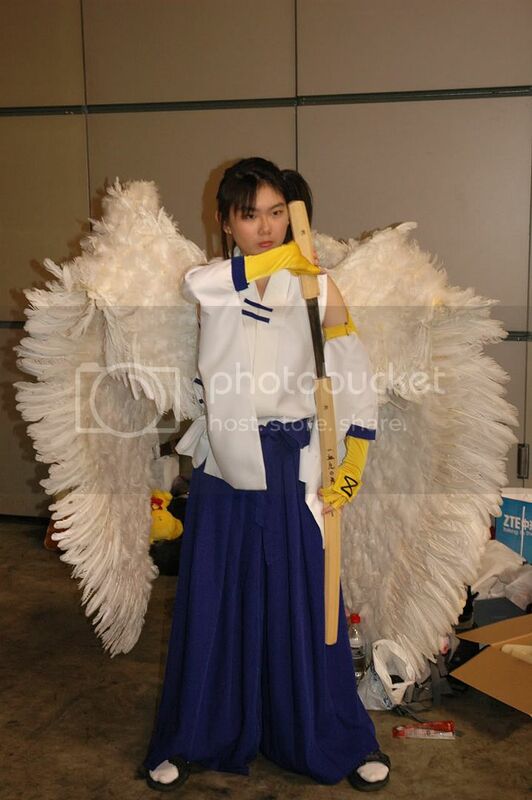 She eventually won the cosplay competition too. 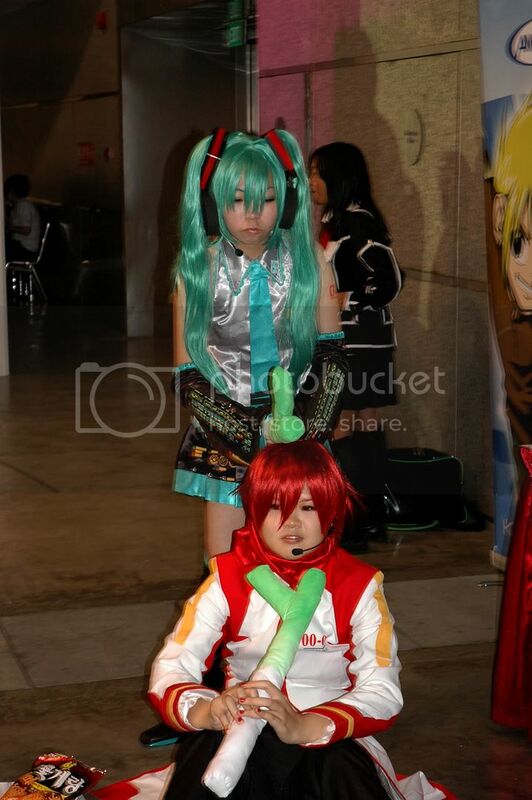 Miku and a red-haired KAITO playing around. Reading music scores with lyrics to prepare for the next song. Oversized leeks ftw! Looks like she gave up reading the scores. 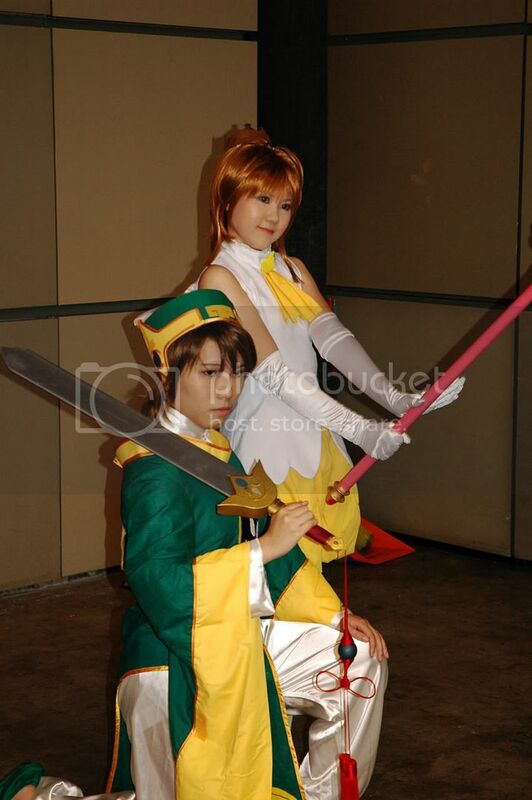 Sakura and Syaorun from CCS. Sakura's costume is really cute, really liked it very much ^^. Another shot of the CCS Stars. Damn I really liked the Sakura, cute! CCS > Sith. Looks like Clow Cards > The Force. Sakurazaki Setsuna from Mahou Sensei Negima. Those wings were huge! I have no idea which series is the afro guy from. Some said Yakitate!! Japan, others said Afro Samurai, and some more said from DDR2. I'll just leave it blank for now then. 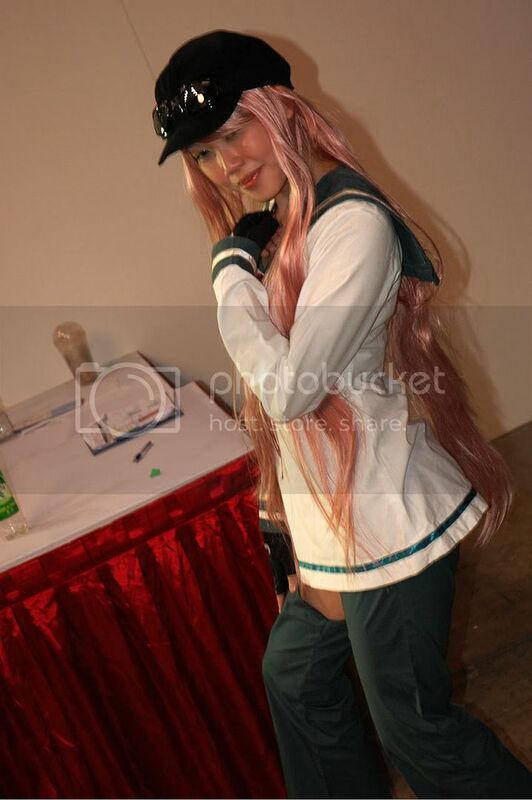 No idea on the other cosplay too. Watanuki Kimihiro(?) from xxxHOLiC. 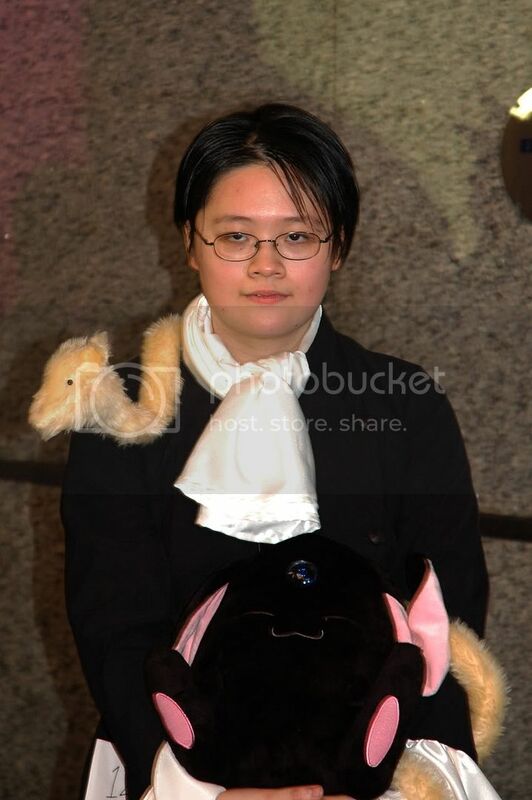 I believe it's Watanuki due to Mugetsu (the pipe fox) and Kuro Mokona being with him. 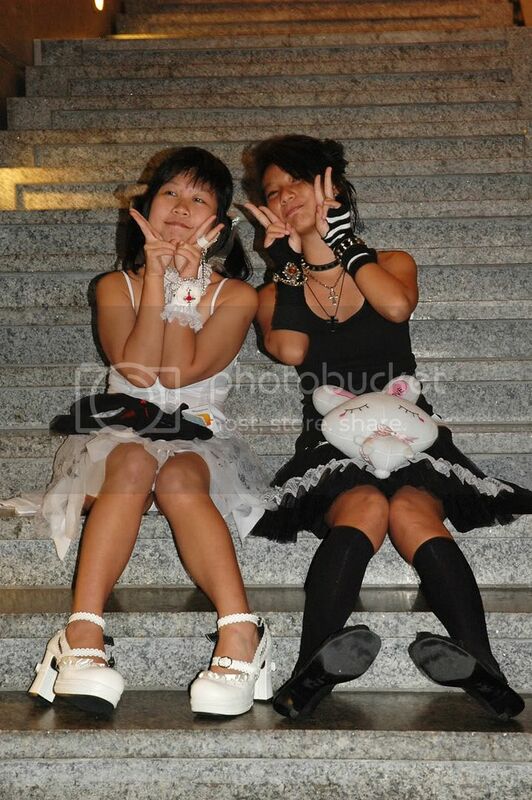 Goth Lolitas? Panther asked to take some photos, and a crowd of photographers soon followed too to snap photos of these 2. Another shot of them. V for peace! Afro and Setsuna together. Lenalee Lee and Allen Walker from D.Gray-man. They were surrounded by mass group of photographers. Simca from Air Gear. 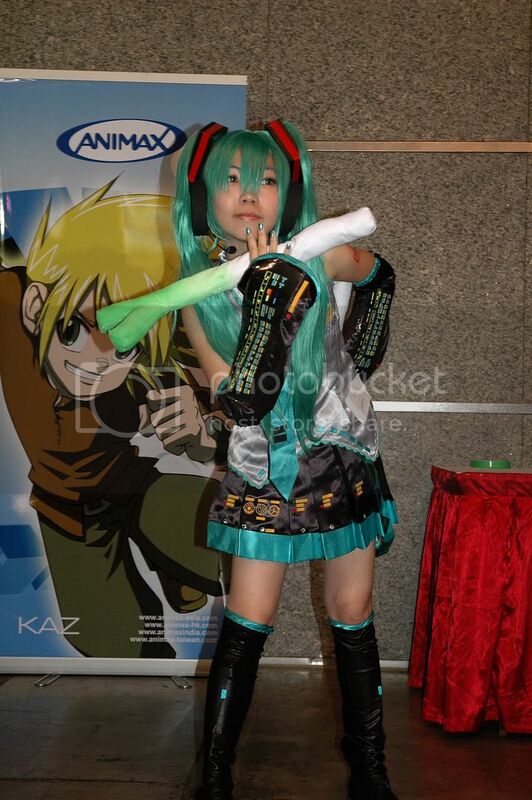 She's actually one of the judges for the cosplay competition. 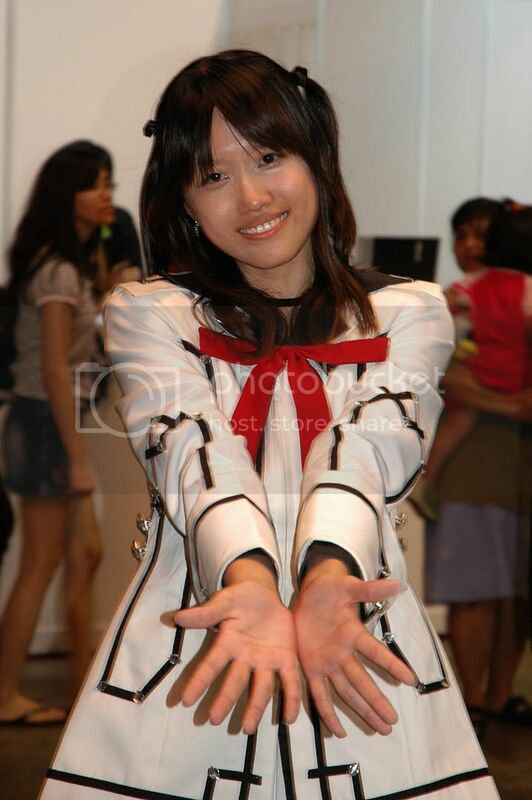 Lastly, a cute Yuki Cross(?) 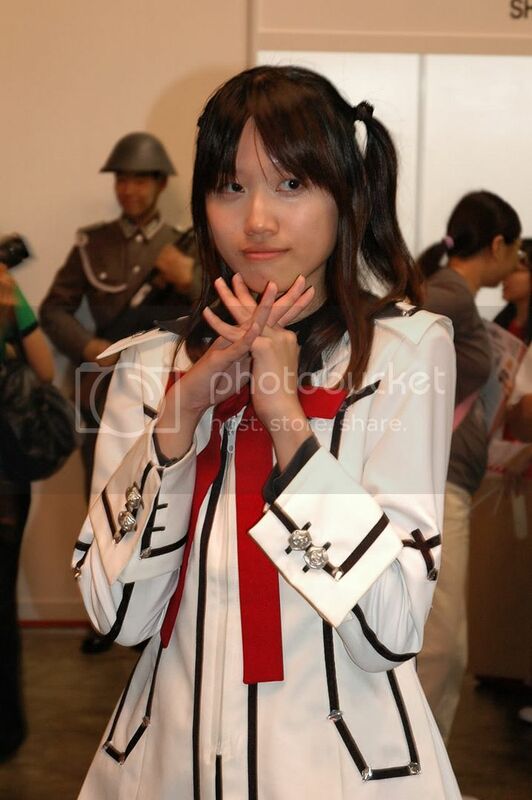 in Night Class outfit from Vampire Knight. And another... Can I drink her blood now? :D Random shots of the rabid photographers. It was really crazy. I was getting smacked left-right-centre by albows, bags, cameras etc countless times, especially on my face, since I was focusing more on taking the photos than my surrounding. 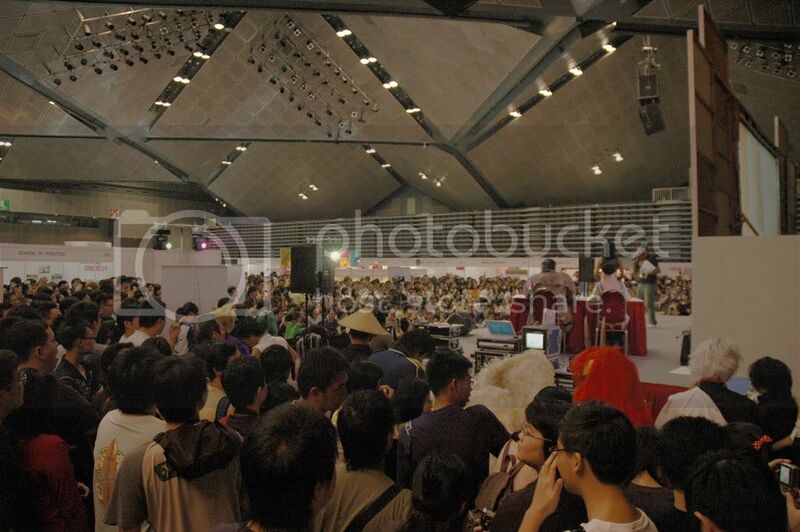 Hopefully, when I attend Cosfest next week Sunday @ Downtown East, we will have better lighting and more space for cosplay photography. 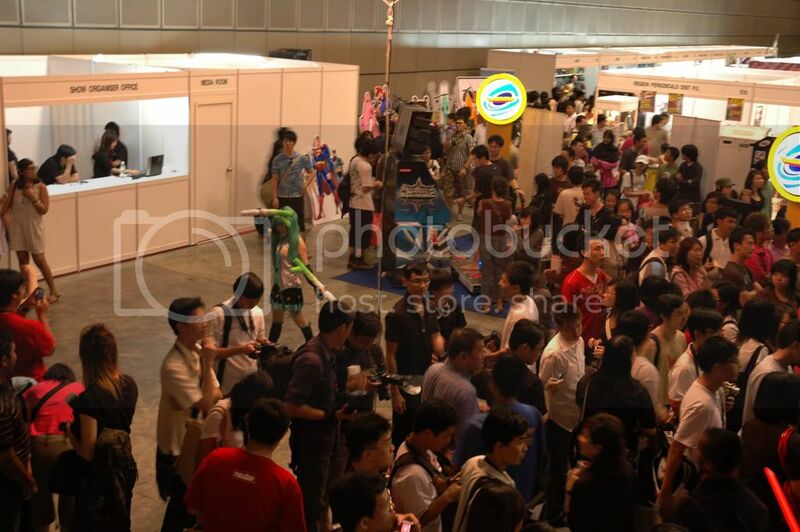 That small corner in the exhibition hall was really a killer, so hard to move around and too many people! Anyway, that's it for now, will finish up on my Japan's posts during next week before Cosfest. Hope everyone had enjoyed their weekend! Signing out. I win that picture with a "coverage". Also thanks for some more identifications lol. Yes we need to find out who that afro and lionhead are. 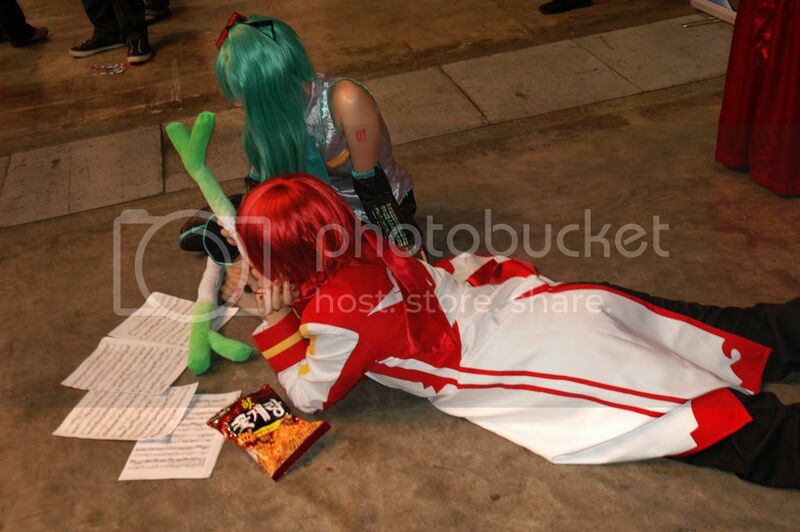 I love eto see all those cosplayers!!!!!! It seems to be really fun!!!!!!! tami: yep it's slowly improving. gordon: yea he was very "into" his character. squee: never really paid attention to his name lol. C.I: Afro Samurai outfit is slightly different. rin: it was quite fun, but very messy and poor lighting was the letdown. I am still struggling to get the pictures up on my side. One after the other without rest is going to have me dead soon. 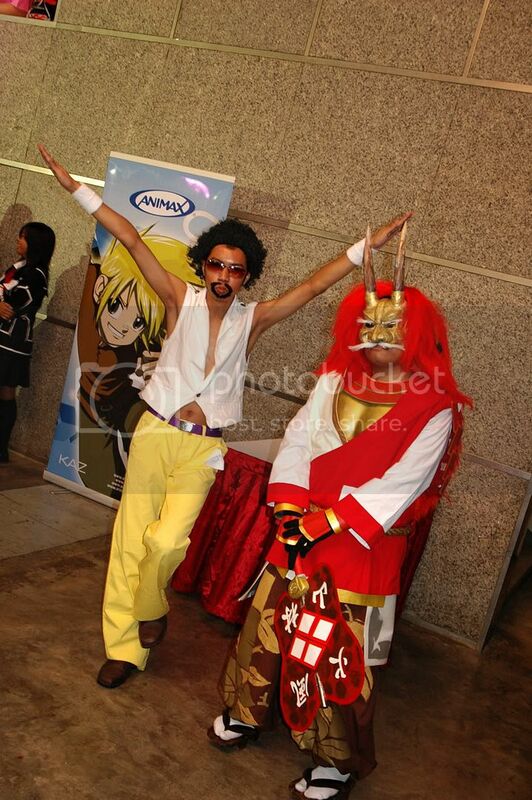 i just wonder could you review my cosplay blog ? thanx.